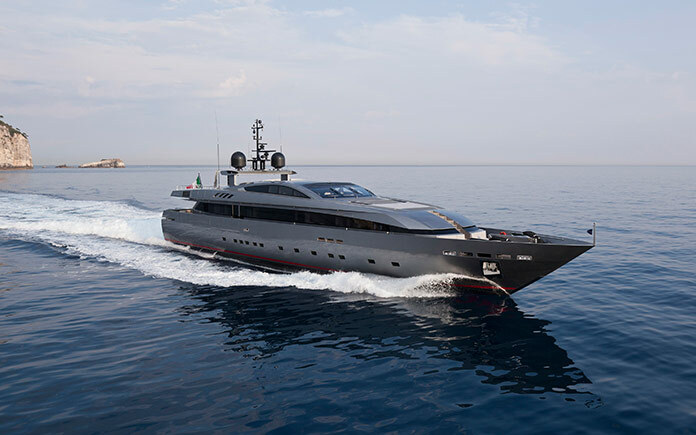 The Baglietto 44mt Fast M/Y Monokini has been awarded the Compasso D’Oro ADI 2016 Award. The award, now in its 24th Edition is one of the most influential international design award. The Compasso d’Oro is awarded on the basis of a pre-selection made by ADI Permanent Observatory of Design, consisting of a commission of experts, designers, critics, historians, specialized journalists and assigned by a panel of international experts as Cinzia Anguissola D’Altoè Sacchetti, Marc Sadler, Gabriella Bottini, Mugendi K. M’Rithaa, Yossef Schvetz, Walter Maria De Silva e Toshiyuki Kita. Monokini wins the Compasso D’Oro Award “for the reinterpretation of an archetype and maritime tradition combined with the introduction of innovative technologies”. The Awarding Ceremony took place June 14, in Milan at Palazzo Isimbardi in the presence of Luciano Galimberti President of ADI (Association For The Industrial Design) and many authorities. The award was accepted by Raffaella Daino, Head of Communication and Marketing of the Baglietto shipyard, part of the Gavio Group since 2012, together with the designers Francesco Paszkowski and Alberto Mancini responsible for the exterior and interior design respectively: “We are very honored and proud to receive the Compasso d’Oro award – says Raffaella Daino – Monokini reflects a new course for Baglietto and receiving such an important award demonstrates that we are on the right path. This reinforces our mission to always improve, with constant attention and commitment to the highest standards in quality, while maintaining the Made-In-Italy craftsmanship and innovation that have always been part of the Baglietto tradition”. 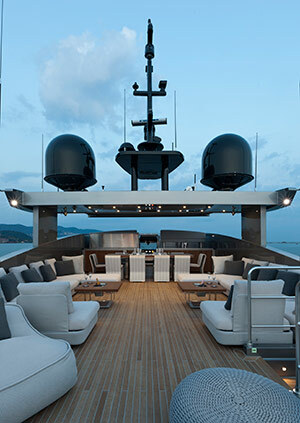 The yacht’s streamlined, sleek lines have been designed by Francesco Paskowski Design, while the soft, flexuous interior are the signature of designer Alberto Mancini, who has given life to an elegant, sophisticated style. 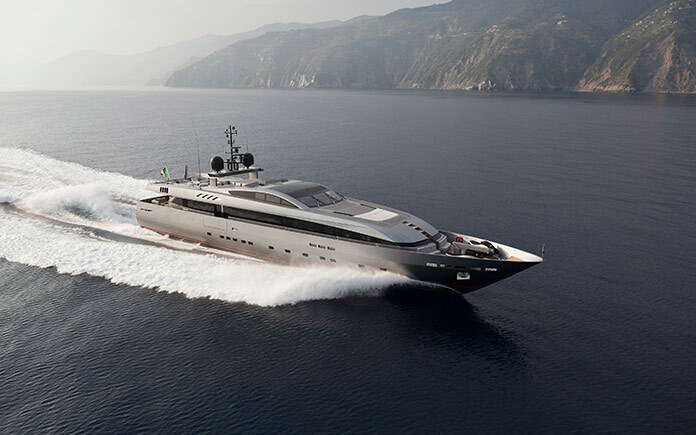 The naval architecture is by Baglietto. 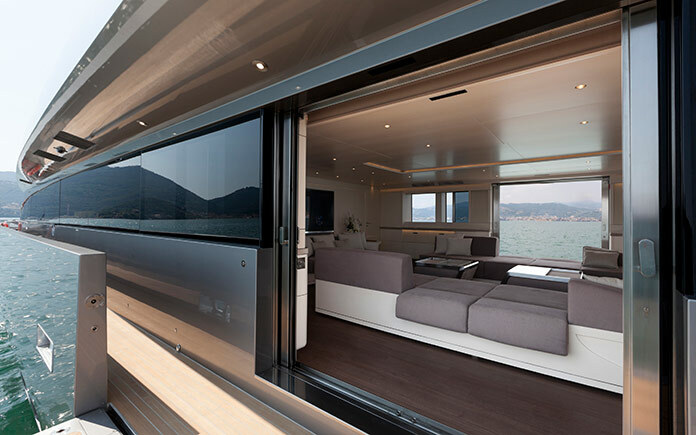 At 44m long in all aluminium, Monokini can host 10 guests in 5 cabins on the lower deck and 8 crew members. The interiors are subdued and very refined, but also feature a series of details that draw inspiration from the rational and yet sophisticated world of aviation design. 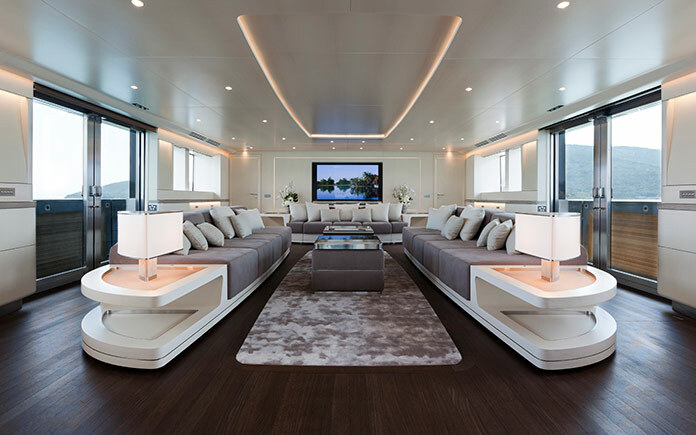 Wood, steel and leather – the materials used all over the yacht – have been combined harmoniously to obtain a skilful blend of shades of colour that result in a stylish, refined atmosphere. The wood used for the bulkheads – bleached sycamore – can also be found in all ceiling panels and, together with the treated Wengé parquet and the dove-colour silk inserts, conveys a sense of calm and refinement. 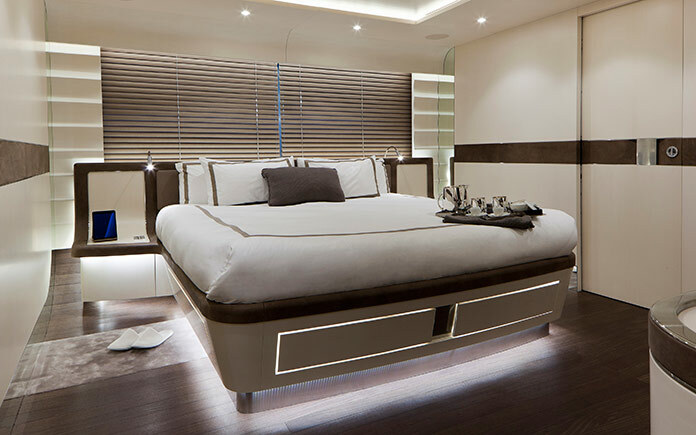 The atmosphere is comfortable and relaxing, similar to that found on large private jets, and is further enhanced by a skilful use of lighting, aimed at ‘softening’ the wood curves even more. Interior and outdoor furniture also deserve special mention: nearly all sofas, tables, lamps and handles have been entirely customised to fulfill the very precise wishes and requirements of the owner. 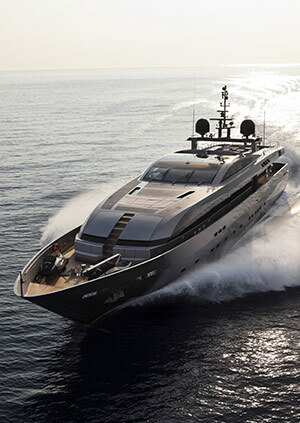 Powered by 2 MTU 3700hp engines, this new 44m vessel will reach an impressive maximum speed of 30 knots in utmost comfort, while the 4 zero speed stabilisers will grant flawless stability even when the yacht is far out at sea.